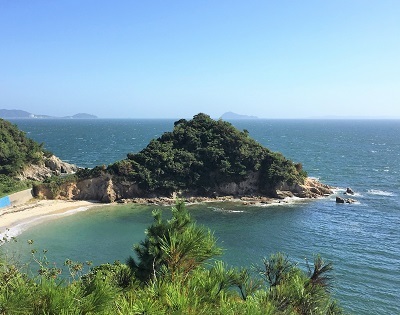 The Seven Day Ise Bay tour lets you explore the Oceanside of Central Japan through a relaxing trip along Oceanside of Aichi and Mie prefecture. Begin the tour by exploring Nagoya’s Samurai Legacy, eating traditional Nagoya foods, and learning about the history and culture of Japan’s third largest city. Then continue to rural Oceanside of cape Irago and a fishermen island Shinojima for a relaxing countryside feel, beautiful ocean views, and delicious freshest local seafood. Next, spend two days exploring great culture and history of Ise Shima, and finally, end at one of Japan’s best resorts for two days or relaxation, entertainment, and shopping. Arrival to Nagoya in the morning and buy subway one day ticket. 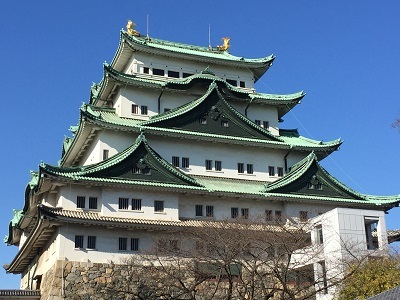 Recommended route to visit on this day: Nagoya Castle and Honmaru Palace to learn about the history of Japan’s greatest Samurai and Nagoya, Atsuta Shrine, one of Japan’s three most sacred shrines. Then head to Osu in the afternoon for shopping and seeing the beautiful Osu Kannon temple, and visit Sakae in the evening for dinner of Nagoya meshi – Nagoya’s local specialties, such as hitsumabushi and others. We recommend taking our Discover Samurai City Nagoya tour with a private guide to enhance your experience. Train from Nagoya to Kowa (45 min), short shuttle from Kowa to Kowa port, Ferry from Kowa Port to Shinojima Island (20 min). 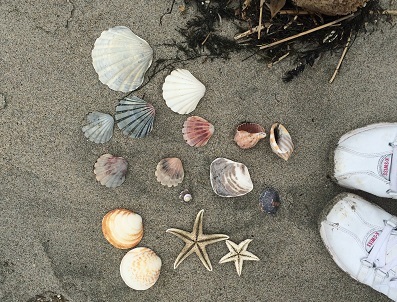 Leave your luggage at the hotel and enjoy a lunch of fresh local seafood at a local restaurant. It is recommended to hike around the island (90-180 min), with stops at the beaches for relaxation. You will see fishermen boats, locals going by their day, and a local public school serving only 30 students. In the evening, head to the observatory to watch the famous sunset. Shinojima sunset is listed among top 100 sunsets in Japan. 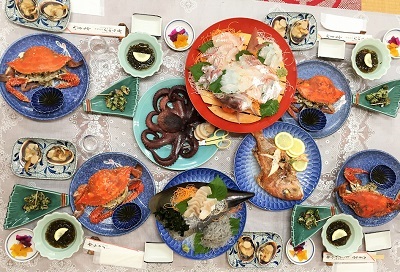 Enjoy a seafood feast of seasonal catch at your accommodation: depending on season, the local specialty includes shirasu (baby sardines), octopus, fugu (puffer fish), and big clam. In the morning take a ferry from Shinojima to Irago (20 min). Rent a bicycle at your hotel (cannot be booked in advance), cycle around the peninsula on the cycling road and enjoy the beautiful views and the fresh ocean breeze. Visit the light house at the cape, stroll at Koijigahama Beach (Pacific Ocean Beach), and observe geologic formations by the water at Hiino Sekimon. Finally, visit Crystal Porte Road Station for shopping and dining. Total length of the trip is 3.5 hours and 12 km. If you are visiting between January and March, it is highly recommended to visit Irago Nanohana Garden mustard flower festival for a mesmerizing view of tens of millions of bright yellow flowers. Begin the day enjoying a breakfast at your accommodation and take a ferry from Irago to Toba (55 min). Leave your luggage at your hotel in Toba and enjoy the rest of the day exploring the city. Recommended attractions to visit on this day include Mikimoto Pearl Island and Museum, to learn about the lifestyle of female pearl divers, discover the history of the Mikimoto brand, and observe beautiful pearls. It is also recommended to visit Toba aquarium featuring local marine life. In the evening, head to Toba station to your accommodation. The plan for this day includes exploring Ise city for the whole day, so it is recommend that you buy one day bus pass “Ise Toba Michikusa free pass” (1,000 JPY). Begin by visiting Japan’s most sacred shrine – Ise Shrine, holding the Mirror Yata no Kagami, one of the three treasures of Imperial Regalia of Japan. 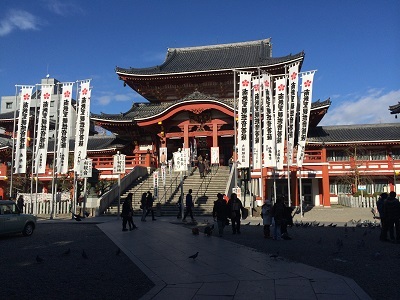 The shrine is quite large and you will spend plenty of time exploring the grounds and also Okage Yokocho street (walking and bus). 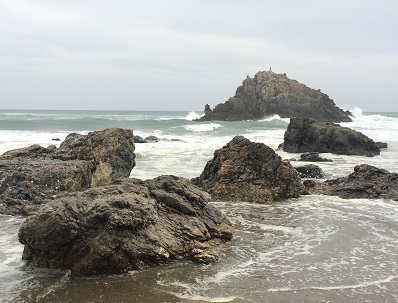 After lunch, head to see Meoto-iwa (Wedded Rocks) in Futamiura city. In the evening come back to Toba station to your accommodation. 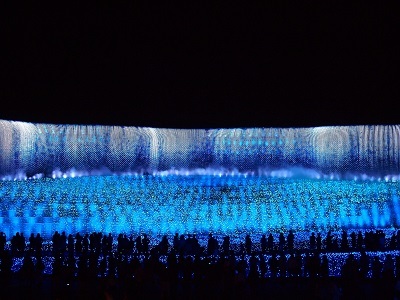 Start by goin from Toba to Kuwana on express train (1 hour 20 min), and Kuwana to Nagashima Spa Land by bus (20 mins). 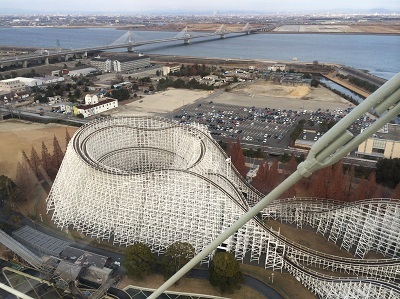 Nagashima Spa Land is a huge resort featuring a giant oncen bath, one of Japan’s largest roller coaster parks, a large water park in the summer, and an extraordinary flower park, with one of Japan’s best winter illumination shows (the illunimations are on from November to April). There is also an outlet mall with many restaurants and great shopping options. Your accommodation will be inside the best Nagashima Spa Lanf hotels, which allows you to get discounts on attraction admission. On the last day of the tour take it slow and relax by shopping and eating at Jazz Dream outlet mall. Come back to Nagoya by bus or head to Chubu International Airport at a comfortable time.